Have you thought about purchasing a camera system? When you’re the owner of a home, there are plenty of things to keep in mind. Whether it’s making sure your kids aren’t leaving a mess behind, or that you pay the bills on time, these are only a few responsibilities of being a homeowner. However, it’s also essential you keep your house secure at all times. While locking the door when you leave is important, you can’t monitor your house 24 hours a day, unfortunately. So here are several reasons why security cameras are a great tool for any homeowner, especially if you’re always on the go. There are many homeowners who are worried about break-ins when they leave the house. Yes, they can lock the door behind them, but any determined criminal will simply break a window or find another way in. One of the best reasons for purchasing a security camera system is because it self-monitors the activities in your home. Between going to work, visiting the local bank, or even picking up your kids from school, people are always busy with their lives. They certainly don’t have time to monitor their house 24/7. But security cameras can record any unusual activities that have been going on. For example, if you heard news about suspicious activity going on in the neighborhood, that would be the perfect time to purchase a security camera system. Even if you were to take a vacation and come back a week later, you would be able to tell if something suspicious went on in your home. (The monitored security system would alert you immediately.) There are plenty more benefits of owning security cameras, but its ability to record constantly is one of its greatest strengths. Another benefit of having a security camera is that it gives you peace of mind. Most (if not all) homeowners value their property, and it could make them uneasy leaving the home unattended. You could be at the movie theater, for example, but not really into the feature because you’re too concerned about someone breaking in. Or you could be on a one week cruise but feel miserable the entire time since you’re worried about a robbery. By having a camera that does all the monitoring for you, you can go out and enjoy yourself while feeling assured your home is being watched. Additionally, if coupled with the security system, it can notify you or others if there was a problem. You know you will always have it recorded no matter what happens. A camera system can also help to prevent burglaries. While the security camera itself doesn’t necessarily sound an alarm or alert the homeowner, it can still be a warning sign and deterrent to the criminal. Some break-ins occur without much planning, but others are premeditated. For days and even weeks on end, a burglar may hang around the neighborhood and watch the patterns of others. In fact, they may even check to see when each homeowner steps out of the house in the morning. Based on those patterns, they might choose the house that best suits them. But if they notice one of the houses had a security camera, wouldn’t they be more hesitant to rob it? If anything, it would be easier for them to break into a home which is less secure. If you have a camera system installed, you can leave your children unattended at a younger age since you can keep an eye on them from your smart phone. This can be helpful if you think your children are old enough to leave on their own, but want the additional peace of mind. 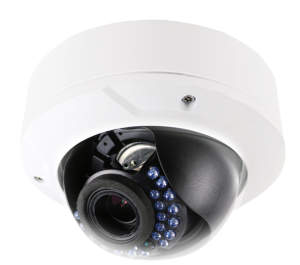 The 24/7 recording ability, giving you peace of mind, and warning criminals to stay way are some of the benefits of purchasing a security camera system. For more information, contact us today at Zions Security Alarms.